There are folks who make embarrassing mistakes once in a while and then there’s Samsung – the company recently tweeted about the amazing display of the Galaxy Note 9, from an iPhone. What’s even more awkward is that this gaffe appears to have gone unnoticed for almost a week. The tweet promoting the Samsung Galaxy Note 9 was posted on November 25, with ‘via Twitter for iPhone’ clearly visible at the bottom. But it was taken down only after tech reviewer Marques Brownlee posted a screenshot of the same on December 2. Considering the number of times Samsung has been caught in similar situations, how does this keep happening? In October this year, Samsung’s Russian ambassador, Ksenia Sobchak, was spotted using an iPhone during a television appearance. The company was reportedly considering suing her for $1.6 million (around Rs 12 lakhs) since she was in violation of her contract which required her not to be seen using rival products in public. 2014 was the year for two high profile blunders. The ‘Ellen Selfie’ at the Academy Awards was clicked through a Samsung phone because the South Korean giant had poured a lot of money into the event to be seen as a sponsor, notes Medium. Ellen Degeneres quickly returned to tweeting from her iPhone soon after that famous selfie was posted. Later that year, Maroon 5’s Adam Levine jokingly called for an ‘iPhone burning’ while pushing Samsung’s Milk Music service and was discovered tweeting through an Apple iPhone a few days later. Tennis star David Ferrer promoted the Samsung Galaxy S4 on Twitter through his iPhone back in 2013. The tweet was deleted and posted again from another device. And before that in 2012, model Kate Upton who happened to be a paid guest at the Samsung Galaxy Note 10.1 launch was photographed with an Apple smartphone. Of course, being in attendance upon receiving an invite did not mean Upton had to ditch her iPhone. But Samsung could have ensured she wasn’t seen with it at the event by the press. In the instances mentioned above, it wasn’t actually Samsung who made a snafu. 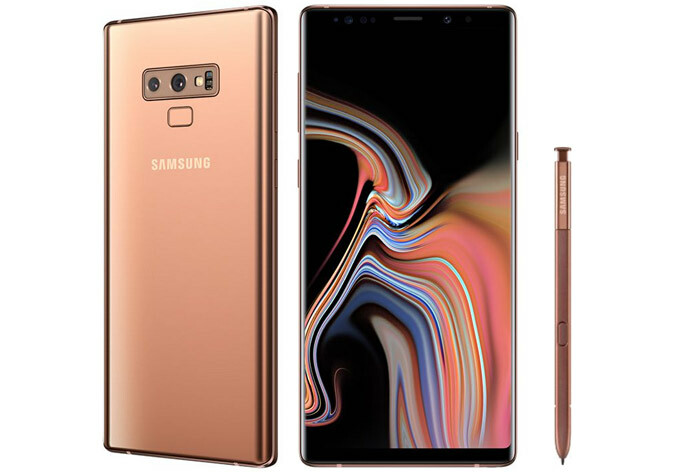 But it has only itself to blame for the latest Note 9 promo blunder. Apparently, the official Saudi Samsung Twitter account has also been seen tweeting through an iPhone. Even though Samsung’s PR and social media presence is likely handled by third-parties, it has to stay more alert. Maybe hand out Samsung phones to PR agencies handling your account? And don’t forget to send them an email listing the goof-ups you and your brand ambassadors/celebrity promoters have made! 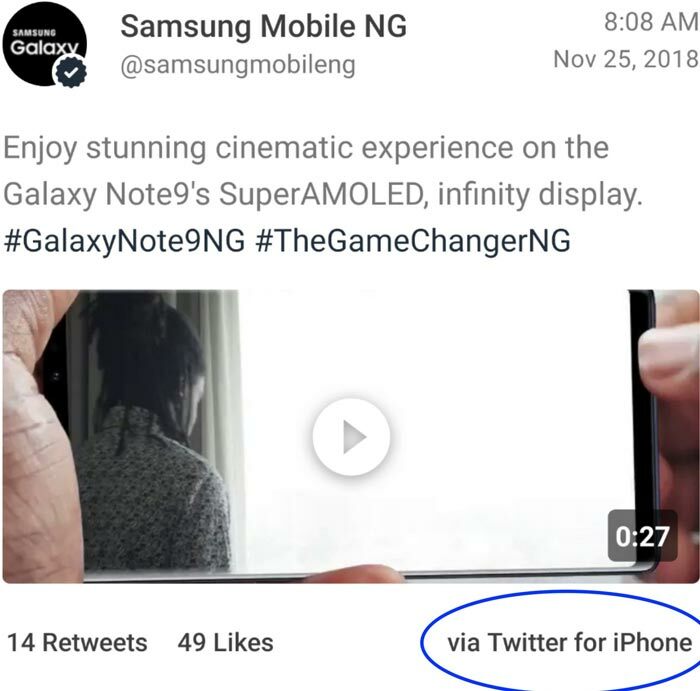 The Samsung Mobile Nigeria Twitter account through which the Galaxy Note 9 tweet in question was posted, is back after being temporarily disabled by the company.